NASA’s “age of grace” is coming to an end? You can find the articles here and here. I’m sure by now you can discern the symbolism here. 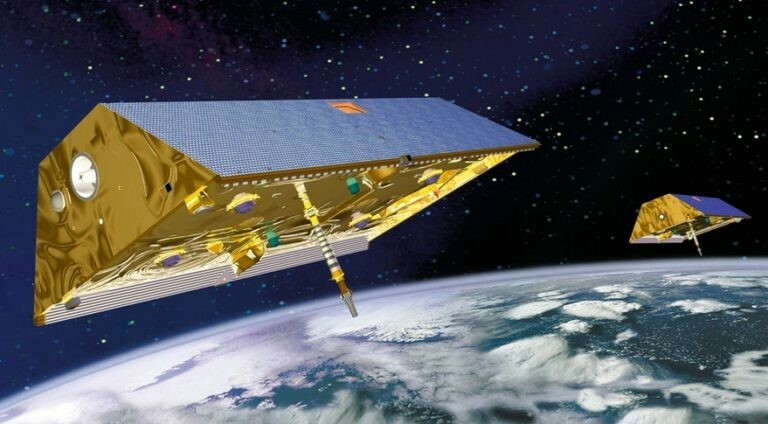 “In a statement Sept. 14, NASA’s Jet Propulsion Laboratory announced it expected the Gravity Recovery and Climate Experiment (GRACE) satellite duo to make its last science observations in November, more than 15 years after their launch. That assessment comes after recent problems with one of the twin spacecraft, designated GRACE-2. Controllers lost contact with the spacecraft Sept. 4, a day after the eighth of 20 battery cells on the spacecraft failed. They restored communications with GRACE-2 on Sept. 8, found that the failed battery cell was back to full voltage and concluded that the spacecraft could continue operating. That mission, though, is coming to an end because of the recent issues with GRACE-2, coupled with it running out of fuel. In the Sept. 14 statement, JPL said the two spacecraft would be decommissioned after one final science collection phase scheduled for mid-October through early November. The decommissioning, JPL spokesman Alan Buis said Sept. 20, will include maneuvering one of the satellites to eliminate any chance it could collide with the other, followed by other steps to render the spacecraft inert. The spacecraft will make an uncontrolled reentry some time in early 2018, with the exact time dependent on solar activity and its effects on the Earth’s atmosphere. Buis said that most of each spacecraft will burn up upon reentry. “A few small pieces are expected to survive reentry and reach the ground, but the risk they pose is very small and is within NASA requirements for satellite reentry,” he said.